When Kate and Mark meet up, little do they know how important they will become to each other - and how, in a very short time, they will know each other better than any of the people who are supposed to know them more. A long-time fan of David Levithan (who I once interviewed, by the way; you can read that here) I was very excited to get my hands on a copy of his latest novel, You Know Me Well. 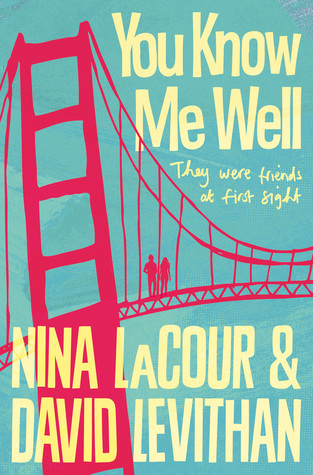 I was even more excited when I realised that it was co-written with Nina LaCour, a writer I had yet to discover but had heard great things about. And with such a cheerful cover (unfortunately not the final one) how could I resist? It didn't let me down! You Know Me Well is such a brilliant book which, told in alternating points of view, nails the feeling of not knowing how to make the leap from adolescence to adulthood - or not wanting to. Kate and Mark both feel like this, while dealing with a range of problems that they really don't need a week before graduation. The two quickly become incredibly important to each other and a friendship blossoms that neither of them realised they needed. In addition, You Know Me Well boasts a set of main characters who are all on the LGBT spectrum. How amazing is that? It made me so happy to see such extensive inclusion and I'm glad YA is gradually becoming more diverse. Warm, real and relatable, this book will welcome anyone who has the good sense to read it with open arms. Sydney thinks her mum Amy is the best mum in the world - even if she is a bit different. When everyone else kept growing, Amy got to 124cm and then stopped right there. The perfect height in Sydney's opinion - big enough to reach the ice cream at the supermarket, small enough to be special. Sydney's dad died when she was only five but her memories of him, her mum's love, and the company of her brave big sister Jade means she never feels alone. But when the family are forced to move house, things get tricky. Sydney and Jade must make new friends, deal with the bullies at their new school and generally figure out the business of growing up. 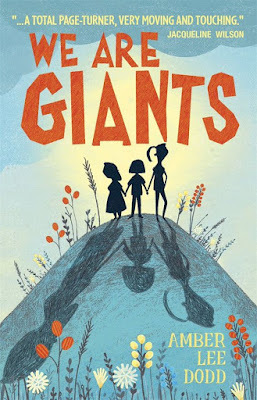 Another book that ventures into areas that MG/YA fiction have yet to fully cover, We Are Giants is the heartwarming story of a girl scared to grow taller than her mum who has Dwarfism. 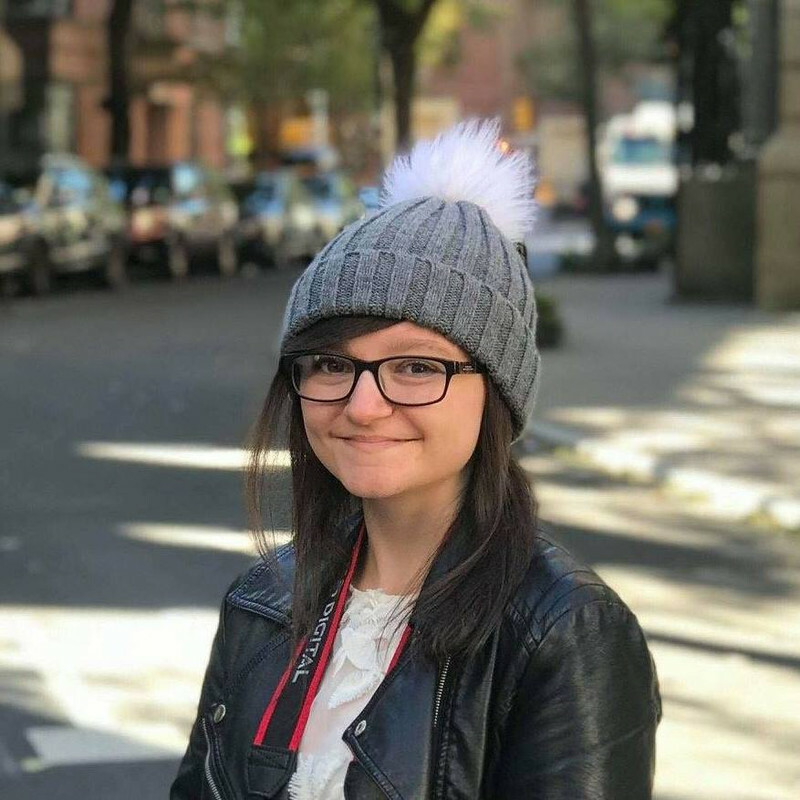 Not only that, but Sydney and her family are dragged across the country to live somewhere else, somewhere far away from their home comforts, friends, and a community that already knows about Amy's Dwarfism and doesn't bat an eyelid anymore. For such a well-known condition, this is the first book I've read that even mentions Dwarfism. It definitely provided some food for thought, both on the condition itself and why it's not something I've ever seen written about in all the years I've been reading. Reminiscent of Jacqueline Wilson and Cathy Cassidy, We Are Giants is a sweet tale of a girl who shows that change can be hard but it won't be bad forever.